Reconnections is funded largely by its community. Like what we do? Buy us a cup of coffee. There are six of us. In the City Metric article it states: “Metro has been a national leader in pay-as-you-go technology (PAYG), with a tap-in, tap-out system.” This does not ring true at all. The POP system was much delayed. While I take the main point raised in the Tyne and Wear Metro article it rather ignores the history. Yes the Metro offers a reasonably convenient service but service levels now are half those that applied after 1984. Trains from where I used to live to the City Centre were every 3-4 minutes, now 7-8. Patronage on the system has struggled since bus deregulation which pulled a rug out from underneath the founding principles of an integrated system. Revenue has also struggled in the light of unconstrained competition from cars and deregulated buses. I completely understand why people resented buses in Gateshead being turned short with enforced Metro interchange but those arguments rather ignored the continued existence of cross river buses on many corridors in Gateshead. When I see the scale of traffic congestion in the North East these days it shows how far backwards things have come. Metro was responsible for taking a lot of traffic off the roads but much of that achievement has been reversed. Bus services, while not bad in comparison with some parts of the country, are a lot worse than they were in the late 1980s. Some corridors remain well served and places like the Metrocentre and the Cobalt Business Park have new links but getting round other parts of the region is not easy. I also suspect the Treasury are not exactly delighted that they’ve had to fork out £300m with another possible £300m due to deal with a huge backlog of accumulated asset decay. Rolling stock is the next thing requiring replacement. There must be some question about the long term financial sustainability of the Metro as it doesn’t generate any real surplus to cover asset health issues. Having to hold a “begging bowl” to the Govt every 30 years is no way to run and maintain a railway. In proposing the use of “metro style” services in other conurbations the article misses the point that for them to succeed there almost certainly needs to be constraints on car access to city centres *and* regulation of bus services. Tyne and Wear Metro’s history clearly points to those issues. It is a pity that the Newcastle Metro article, when looking at what might be done elsewhere, falls into the trap of considering what heavy rail lines might be converted to metro, rather than where metro lines are needed. Many cities have large suburban housing estates built since 1950, with no railway line anywhere near, but are badly in need of better public transport. Tramlink to New Addington is an example of good practice that should be copied elewhere . Furthermore, the number of railways into cities that have capacity to accommodate light rail must be very few. Tram train to Glasgow Airport was recently killed off because of lack of capacity on the railway from Paisley. I’ve come to the conclusion that these City Metric articles aren’t much more than crayonista journalism. A few map and satellite images with coloured dots and lines to articulate the author’s fantasy and not much else. Besides bus deregulation, another reason behind the Tyne and Wear metro’s decline has been the planning system. Since it was opened, most major developments have been far away from metro stations. The metrocentre and the Silverlink areas are the clearest examples. There are fewer and fewer shops, cinemas, offices etc within walking distance of a metro station. It is almost beyond belief that North Tyneside, with 17 metro stations, focused leisure and employment developments far away from any of them at Silverlink. Any sensible local government would have used the existence of high quality public transport stations as hubs for economic development. This poor planning affects all of the UK, but London has not suffered as badly since it has fewer opportunities for out-of-town retail/business parks. @Alan – Ironic that there is a railway next to the Silverlink development, but it’s a heritage steam line attached to the Stephenson Railway Museum! Investigating on Google Earth, there must be a huge amount of employment thereabouts as well with the Cobalt business complex, where the local authority has its headquarters, and surrounding industrial estates nearby. While there are numerous bus stops dotted around the area I assume by the size of and numbers of cars in the huge surrounding parking lots that public transport is failing to attract a large modal share. I assume Royal Oak, the site previously proposed for relocation of the coach station is near Paddington, first stop out towards Hammersmith on the H&C? If so this was neither central nor particularly well served by public transport. Victoria, being situated right next to one the major southern terminals provides superb access from most of southern England as well as being excellent distribution to the tourist attractions of central London. Placing the terminal almost ‘out of town’ threatens to relegate coach travel to a lower league, but if it must go elsewhere, why not the new HS2/GWML/Elizabeth/LO/Chiltern ‘megahub’ at Old Oak Common? On the contrary, VCS is quite a trek (nearly half a mile) from the concourse at Victoria, and even further from the Tube station. Royal Oak is a similar distance from Paddington but, of course, it has its own Underground station. @Timbeau – Fair enough, the site isn’t that far from Paddington so perhaps not as bad as I assumed, but it certainly wouldn’t feel much like central London out there squeezed between the noisy A40 and the GWML, although I could see operators liking the easy road access from the Westway. I still think it would be better AT a Crossrail station or main terminal though. Perhaps a further raft extension over the South Eastern throat at Victoria might accommodate a new terminal, or they might locate some stances where short term parking and taxis are situated on the existing deck just to the north of Eccleston Bridge. That would be much closer to the concourse and LU station. @ Mark T – I suspect that any attempt to move Victoria Coach Station (VCS) will founder. It is just about tolerated in its existing position but I suspect Westminster City Council and local residents want the place closed down. It’s a minor miracle it’s survived this long given the very cramped conditions and continual loss of coach parking spaces within reasonable distance. Just watch a 1970s or 1980s London based show and you’ll see coaches parked on derelict land in places like Vauxhall. All built on now. I can’t imagine any other central London local authority would want VCS relocated into their borough given the traffic issues. Any local residents would object. I was musing the other day that Stratford was possibly a half reasonable location for a resited coach station but that would require land to have been allocated for such a purpose within the Olympic Park close to the Stratford regional station. Coaches were recently diverted to serve Stratford City bus station rather than the old bus staotion in Stratford town centre. I’ve lost count of the bewildered faces of people being dumped off coaches from Stansted Airport at Stratford City and wondering where the hell they go next. If more coaches were to be moved there then a lot more effort on wayfinding and waiting facilities would be needed. Road access is half reasonable from the north, east and south east but coach services from the west and south west would have much longer journey times to / from a coach stn at Stratford. Whether coach passengers would be content to use Crossrail, Jubilee and Central lines to reach Central London would also be a big issue given many coach passengers are older, encumbered and a proportion have disabilities. This was all highlighted on the Routemasters Running London TV series about TfL and the episode that focussed on VCS. @ Alan – You make a fair observation about the development at Silverlink / Northumberland Park in North Tyneside. There are, of course, Metro stations at Percy Main to the south and Northumberland Park to the north. The latter was added early on and I believe there is a dedicated busway within the Silverlink development to try to aid access to / from the Metro stations at each end. Of course there is a reliance on deregulated bus operators then using that infrastructure effectively and also being willing to serve Metro stations rather than provide services to Newcastle or elsewhere in North Tyneside and keeping all the revenue to themselves. Sadly there are far too many developments in Tyne and Wear where there are enormous car parks alongside some level of bus access. You’ve got Silverlink / Cobalt Park, the redesigned / relocated govt offices at Longbenton and Tyneview Park. There is also Quorum Business Park. These latter two are just far away enough for walking access from the Metro to be inconvenient leaving people reliant on rather variable bus services. Similar situations exist in the corridor between Sunderland and Washington New Town where the Nissan plant is plus a vast amount of other business activity. I was shocked when I saw it last time I was up in the North East. Bus services try their best to serve these areas but it does extend journey times because of the poor way in which access roads to these places are designed. The alternative is being having to walk from slip roads to their places of employment. Of course a lot of people will drive which adds nothing to the efficiency of the region nor the environment. The other irony is that the North East has had a lot of spending on roads – there are a lot of dual carriageway roads which are barely used off peak. They are, of course, jammed solid coping with car borne commuters with bus services stuck in the morass. It is as you say closer to buses and trains. There is surprisingly little interchange between the Coach stations despite being either side of Buckingham Palace Road, discrete user base. Your two proposed sites are connected by accessible Crossrail. Using both with free connecting transfers would ease motorway access and make smaller scale neighbours. But presumably the traffic congestion isn’t bad enough to slow down the buses to make them less attractive than the Metro? I don’t know the area well but my guess is that the level of economic activity in the region, and particularly in the city centres, is well below its historic peak, and the expectations of the Metro planners. It would be interesting to see a comparison with Manchester, where I suspect the economy is much more vibrant. The problem isn’t for people who live close enough to the Metro stations to walk there. They happily use the Metro. Its those who live further away. Many of the Metro stations were designed with effective bus interchanges, and bus routes from further out were planned to give easy connection onto fast Metro links (avoiding the congestion) and making more efficient use of both bus and Metro capacity, and the interchange fares avoided penalising switching from bus to Metro. Post privatisation, the private bus companies opted out of the integrated fare system (discouraging switching in order to try to grab as big a piece of the fare bucket as possible) and rearranged many of the bus routes to avoid the Metro interchanges to make interchange as inconvenient as possible as well as prohibitively expensive compared to staying on the bus. So the congestion has increased to the level where bus journey times are unattractive, but the poor passenger doesn’t really have a viable option to switch to the Metro at an interchange (except those who leave near the station already). Every time I go back up there, I’m shocked at all the new housing estates being built in the middle of nowhere with no real access to public transport or within walking distance of services (eg shops). Thanks for the explanation. Do OAPs get free travel on the Metro? If not there’s another large chunk of passengers who aren’t going to use it. The line past Silverlink was used as Metro test track; Was a steam heritage line for a while (connecting with Percy Main, partly Council supported). That venture failed. But as it one of a lot of aspirations, and the source of funding for new trains has yet to be identified, so I don’t see extensions happening any time soon. The same capability is planned to be installed in the new Metro units – Stadler are one of the bidders for these. @PETERW – Thanks for the reference. The relevant text can be found by searching the linked document for “Cobalt Corridor”. One suggestion is that a new Metro route from Ashington might be routed that way to the city centre. @TIMBEAU – As well as the large order of high floor 25kV/battery 399s for Cardiff Valleys, Stadler are also building new metro trains for Merseyrail that might be suitable for T&W Metro. The Merseyrail units are dual voltage and have an on-board traction battery option. As an aside, I was glancing through the linked document when I noticed on page 92 the photoshopped image of a Croydon tram in Norway that appeared in the 2014 LR Xmas quiz! There’s an article about this on the ES site suggesting that Heathrow and OOC are in the running as alternative sites. Heathrow would make a lot of sense IMO – close to motorways and great onward transport access. OOC will no doubt have the scope for it to be “planned in” at an early stage but the road access is more limited. I would imagine the dual voltage arrangements for Merseyrail’s 777s will be rather easier to arrange than Tram Train’s 399s, or the proposed Tyneside units, (both of which will collect both AC and DC from overhead pickups) as the Merseyrail DC and AC pickups will be quite separate – there will be little danger of feeding 25kv into the 750v circuitry. Heathrow is all very well as a coach hub if you are coming from the west, but if you are coming, say, from Norwich and wanting to get into the City, then going via a Heathrow hub would add at least a couple of hours to your journey. Heathrow is a long way out of London in terms of the fare payable to get into the city centre. An expensive transfer from there would tend to defeat the attraction of the coach as a low cost method of longer distance travel to London. I think the sensible answer might be to have two sites, an East London Coach Terminal at Stratford for the North East, East Anglia, South East and Continent, and a West London Coach Terminal at OOC that could serve the South West, Midlands and North West. 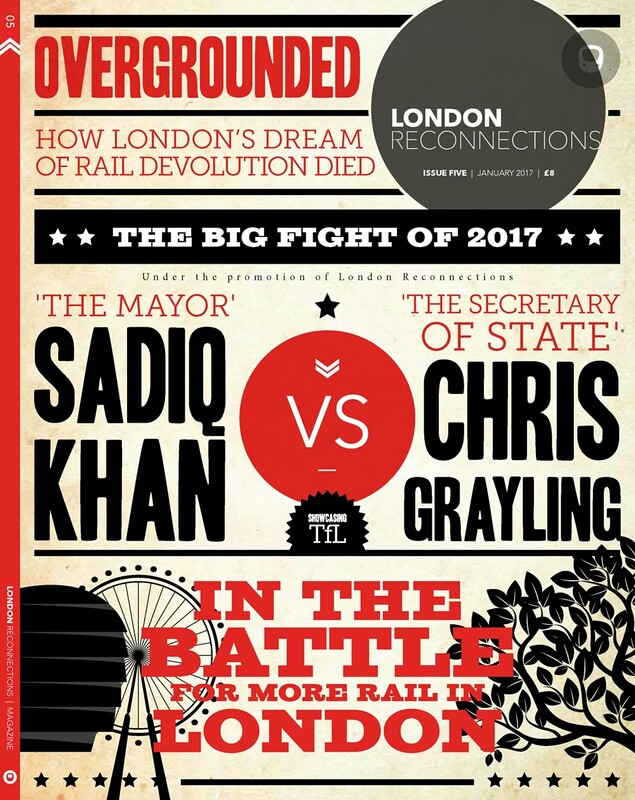 Both would be well connected to main line rail, the Elizabeth line and other local public transport links. While some coaches would no doubt continue to also serve Heathrow, especially those travelling to and from the South West, other routes serving the North and Midlands especially, might take advantage of both Stratford’s and OOC’s excellent future rail connections to the airport to avoid serving it directly at all. I don’t see “Metro to Chester le Street down the East Coast Main Line” happening any time soon as there’s a lot of new infrastructure to get – and sadly no sign of finance for that. However unless the Pelaw to Sunderland stretch goes to 25kV then Class 800 (Azuma for LNER or 802s for Grand Central) will continue run diesel into the middle of Sunderland. I believe the extension of T&W Metro to Chester-le-Street would consist of new tracks. Such tracks might be 25kV because it’s electrically easier, but don’t have to be. Nexus wanted as much flexibility as possible from the new units – they were thinking about running through Central NR (eg Blyth to Leamside) and they wanted to not be a barrier to Durham Coast 25kV electrification, they have plans for street running, etc, etc. As there’s an off-the-shelf unit that does this for a reasonable cost, the DfT were unlikely to have a problem even if they aren’t minded to electrify the Durham Coast, or have these trains running on the ECML. Converting to 25kV just to allow them to switch off their diesel engines for that last/first 100 metres would require a disproportionate amount of work to provide a 25kV supply for such a small installation. If dual fitted metro cars became available, then electrification at 25kV from Sunderland (inclusive) southwards to the Middlesbrough and the ECML might be easier to do, but there are many electrification projects higher up the queue than that. Batteries could help with on-the-move OHLE changeovers. Some ETCS balises, configured as part of a specialised Class B packet 44 system, could initiate an initial changeover to battery sufficiently far before the change that the train could be brought to a stand if the old voltage equipment is not detected to be switched out ready. If switched successful, the train would then normally run on under battery until the new voltage commenced and could then make another switch from battery to line power. The changeover could also take place at a station, with initial pull away on battery until the new voltage is encountered. Much simpler than the old switched infrastructure sections under manual control encountered traditionally at border loco change locations on the continent, with the risks of applying the wrong voltage to a traction unit or becoming stranded in a long neutral zone both eliminated. In UK, 3rd rail can exist together with 25kV overhead, both powered up on the same track of course, which makes traction changeover between them fairly simple, although engineers attempt to avoid such dual electrification or limit it to as little extent as possible today due to the two systems’ conflicting earthing and return current path requirements, which are difficult and often expensive to resolve satisfactorily. @ Timbeau – with reference to wires at Sunderland I assume you are referring to running in passenger service? Of course Grand Central’s stock runs under the wires on ECS all the way to Pelaw where it reaches separate non electrified track to reach Newcastle for access to Heaton depot. I’m not aware that Transpennine reach Sunderland at all at the moment – certainly not shown on their own network map. I can’t even see any aspiration for them to serve Sunderland as part of the “Nova” fleet expansion. I believe Northern run the Durham coast service which will run under the wires from Pelaw to Sunderland. I do find speculation about the Metro wiring being replaced between Pelaw and Sunderland a bit odd. I understand why people are suggesting it but given the DfT’s reluctance to electrify anything I simply cannot see it sanctioning a premature replacement of relatively new electrical overhead infrastructure. It certainly won’t want to pay for it and Nexus hasn’t got the money and would not gain anything from such a change. @ ML – I think you are being a little harsh on the privatised bus companies in the North East. They have NOT withdrawn from anything – the multi mode, multi operator Travelticket scheme still operates in Tyne and Wear. The operators sit on the management company alongside Nexus. The single through ticketing scheme is not as comprehensive as before but it still exists. I would agree with you that it is not strongly promoted even by Nexus but it is still there. The old honeycomb zone structure has been radically simplified too. Where you are right is that the bus companies have restructured their services to reduce the numbers that serve interchanges. This is probably truest for Four Lane Ends and Byker in Newcastle. Plenty of services still use Gateshead, Regent Centre and Heworth. How many people actually interchange is possibly a moot point – certainly the numbers are way down on what they used to be. The other key area where you are right is that operators have their own ticket range which undercuts the Travelticket scheme. As you say “cash in the bank” and trying to tie passengers to just one operator’s services is the name of the game. Despite there being three major bus groups operating in Tyne and Wear there has not been very much overt competition between them. Most former competition was from smaller operators attacking niche routes or corridors. The only three big competitive incursions – Tyne and Wear Omnibus Company (TWOC), Welcome Passenger Services and the Go North East (GNE) vs Arriva spat on Northumberland services – didn’t last terribly long. The first two resulted in the operations being bought out and closed down swiftly. The latter did result in a strange reallocation of work from Arriva to GNE in the Hexham area but Arriva were left with their stronghold routes into Northumberland / Blyth Valley. The big suprise in Tyne and Wear is that several tenets of the old integrated system still survive to this day. I certainly would not have predicted that 33 years on bus deregulation. The bigger worry these days has to be further economic decline in the region plus the decline of the high street / retail. Newcastle has long thrived because of a very strong retail offer – that must now be in danger which would be catastrophic for bus services. Last time I was up in Newcastle I was shocked at how quiet the City Centre was although I was there on a Monday which is not a traditionally busy day. I don’t see Stagecoach, Arriva or GNE moving out of the region but I do think all of their operations will shrink over the next 5 years, continuing a trend that has been evident for quite a while. I hadn’t realised that Grand Central used Heaton depot – that does put a different complexion on it. (It’s by no means the most extreme example of dead mileage – the ECS to form the early dawn HST service from Lincoln has to run 70 miles from Leeds, with a similar arrangement in reverse in the late evening). And I had clearly misunderstood the TransPennine plans – I think I had confused Sunderland with Middlesbrough. Sunderland-Newcastle gets some extensions of Newcastle LNER trains (planned to be two-hourly in the future?) – a short OHLE extension/upgrade would mean that the route is wholly electrified. Nexus want the Metro to extend to Seaham – which puts more Grand Central operation under the wires (and more Northern Carlisle-Nunthorpe stopper too). However the 25k operation of the new Metro stock is a ‘just in case’ rather than an active plan on the Durham Coast. The combined authorities (planned to be 1 when they started, now 3) for the NE could push for more electrification (like the West Midlands has), though even then the Durham Coast is down the list of what makes railway sense for that part of the world. Re. VCS, relocating to the Hyde Park underground carpark would make it central, not offending a fresh lot of residents and not requiring new land or roadspace. As easy to get to from practically everywhere as now, and I seem to recall that the carpark is underused. What am I missing? And, is it really a good idea to put a station for diesel powered large buses underground – where would the exhaust fumes & gases go? I think the 2.08m (6’9″) height limit might be an issue for coaches under Hyde Park. A further issue is that the Hyde Park car park is owned by Westminster City Council and not TfL. Westminster would want to be properly compensated not just for the asset cost but also the continuing income the car park generates. While it’s true that the car park is not always full a number of wealthy car owners (often of middle eastern origin) use the car park for long term storage of expensive cars that they use on their trips to London. Not only are these (usually) gentlemen paying a considerable sum – in yours or my terms – for the privilege, they also have connections and would resent the loss of this facility. Technically it could probably be used for coaches, at least in part, as the Met used it as their clamping and removal base in the 1980s. VCS: Perhaps the only two places that you could reasonably stick a replacement bus station for “London” would be at the end of either the M1 or M4. Given that the Brent Cross area is being redeveloped and is literally right at the end of the M1, perhaps it would make sense to move it there. There was plans, as I recall, to put a Brent Cross Thameslink station there as part of the project. Perhaps, if there were time, such a station could be made in conjunction with a new bus station. This would sort out a lot of the “accessibility” issues. It might seem madness to put a “Central” coach station there, but it’s actually only in Zone 3 and direct access to the motorway network. My personal observation is that travelling by coach from Victoria station requires a lot of waiting at traffic lights within the M25. Moving the coach station to Brent Cross would make coach travel much faster, even for trips to Kent and Sussex. It would probably take a good hour of any trip to northern cities. I can’t imagine any circumstance when it would be quicker to access central London by road from Sussex by changing to a Thameslink train at Brent Cross. Victoria isn’t a great location but all the others suggested are sub optimal for somewhere. Is there a lot of changing coaches at Victoria like there is in Birmingham? I haven’t used a coach in 25 years but I remember loads of coaches being timed to arrive in and leave Birmingham at certain hours through the day. Looking it up using Google Maps to calculate the travel times, it’s 1h 40 min – 2 h 20 min from Brighton to Brent Cross via A23/M25/M25/A40. By comparison Brighton to Victoria Coach station is 1 h 30 min – 2 h 40 min. These times take into account typical Monday morning traffic, to arrive at noon. The timetable for the coach from Brighton to Victoria is 3 h 1 min, at that time. Leeds (picking another example of a coach journey I took as a child…) is listed as 5 h 16 min to Victoria coach station. The travel time by road from Leeds to Brent Cross is 3h 3 mins – 4 h (188 miles). Bristol is 2 h – 2 h 50 min (118 miles) to Brent Cross in traffic by road, which is similar to the listed time for the current trip to VCS, of 2 h 41 min. Colchester to VCS is listed as 2 h 56 min. Colchester to Brent Cross is 1 h 20 min – 1 h 50 min (67.3 miles) by road. It’s 27 minutes from Brent Cross station to Victoria station on the tube. It seems to me that you would get faster, more reliable coach journeys from Brent Cross travelling in most directions. Going north, you might save two hours of London traffic, other directions perhaps an hour. More specifically, there would seem to me to be space to move VCS to here, as Brent Cross Thameslink is already under construction. Green Line 757 already runs between Victoria and Brent Cross, so can give some clue as to journey times. These vary between 35 mins off peak outbound and 50 mins peak inbound. I am however struggling to understand how Kent and Sussex coach services could reach Brent Cross faster than they can get to Victoria. Getting my tarmac crayons out in examination of the two terminal coach solution, I suggest a possible site at Stratford could be in the triangle of land enclosed by the Tottenham and GEML classic platforms and the International station east throat junction trench. A coach terminal might be created there, intimately linked into the rail station complex and seamlessly connected to the A12, via Leyton Road and a new dedicated coach traffic junction facing east. The unkempt tarmac at the site looks to be have been marked out previously for coach parking, presumably for the Olympics, and appears to remain unused in recent aerial imaging. Old Oak Common is quite handy for the A/M40, a short way along Victoria Rd from Gypsy Corner with access to and from M4 and M3 via M25. A possible coach station site might be the old John Lewis distribution depot site which is under control of HS2 now and corresponds to the west end of the new HS station trench, so the coach terminal might be constructed on top of that. It would be very close to the proposed new LO station for OOC and a short walk from North Acton station on the Central Line. It would be a fair walk through the LO station access to the HS2/GWML concourse, but shorter than VCS to Victoria main rail concourse and tube. It Could help justify the optional pedestrian link considered from the new LO station to Victoria Road. How about the vast empty space close to the Cromwell road extension at Earls Court? The planned scheme there has apparently halted for financial reasons. Every coach along the M3 & M4 could terminate there, saving at least 30 mins in the rush hour & easing traffic congestion & fumes in Knightsbridge, Hyde Park Corner & Victoria. The Crowell road bridge over the west London line is riddled with empty underbridges. Inbound coaches could ramp down beside the Sainsbury’s supermarket & cross under outbound road traffic without any conflicts. No need to tell London Reconnectioners of the huge rail interchange options at Earls Court & West Brompton, both of which could be reached through underpasses built in existing road underbridges. The coach station could coexist with a new development there & needs no connection to the north south road network that pincers Earls Court. The site you mentioned at Stratford (which I can see now from my balcony) is planned for the MSG Sphere. I thought that the premise of the question was that VCS need to close. – provide a good location for passengers from around the UK to arrive in “London”. – provide a reasonable connection with the motorway network. This is because a large part of the cost of providing a coach service is the cost of coach ownership. All the time not spent moving at a horse-and-cart speed though Greater London’s collection of traffic lights and speed restrictions makes sense from both an asset usage and passenger satisfaction sense. – provide a good place for interchange for non-London passengers. If you want to change coaches in London, it makes little sense coming all the way into central Westminster. – keep the costs down for the coach users. The additional fare for Zone 3 to Zone 1 isn’t that much and there must be many uses of the coach service who didn’t really want to be in the middle of Zone 1. – provide an overall service that is as good, or better, than VCS. VCS is terrible location for most people, unless they want to be on Buckingham Palace Road. The only good access is from the due west (Bristol), and but is poor for most directions. To my mind, there are three possible locations that satisfy this: Walthamstow (M11), Gunnusbury (M4) and Brent Cross (M1). As Brent Cross Thameslink project is ongoing and under construction, it seems a good candidate to meet the requirements for a) train link to Central London; b) site being redeveloped and c) full-blown motorway access to the site. I’m not aversed to taking a coach on the rare occasions where the cost differential from the East Midlands vs. the train (e.g. something like £10 vs. £50) is sufficient to outweigh the journey time penalty and unpredictability of travel times. National Express already operates a ‘North Circular Coach Station’ of sorts – Golders Green Bus Station. They also stop some coaches at Finchley Road. In heavy traffic that’s a saving of at 45-60 minutes on the slog to Victoria (generally past wherever it was you were headed in Zone 1), and right on the Tube. However, the frustration is that I’ve only ever seen National Express only offer cheap advance fares right through to Victoria – it offers its equivalent of an ‘anytime’ ticket if you select Golders Green as your destination – by which point, you’d be as well on the train. Heading into London you can sometimes get lucky if another passenger has bought a ticket to Golders Green, meaning the coach will stop anyway and you can jump off with them – but if they haven’t, the coach will carry straight on down the A41. Clearly this doesn’t work at all on the way out of London. Given the ability to book seats on particular coaches nowadays, and be able to track progress of coaches via apps, is there a need for coaches to enter z1 at all, rather than simply terminating at Golders Green, Hammersmith, Stratford or similar? I used to use the Oxford Tube regularly and waste an hour on Friday nights getting from Victoria to Notting Hill Gate, just to ensure I had a seat – otherwise three full coaches might whizz past at NHG. Turned out most pax were doing the same – none of us wanted to start at Victoria! The ability to tell where your coach has got to seems to be resulting in a surge in coach use – and VCS is in no place to expand. When Victoria Coach Station opened in 1932 few people had access to private vehicles, so long-distance travel was restricted to train and coach (horses or engines) and the location was satisfactory. Now it is a stupid location, because every coach has to traverse through outer, inned and central London, often through heavy traffic. And being near a main line station is, surely, irrelevant as if you can take the train you’d probably take it the whole way, not part? I’ve noted that Scratchwood Services on the M1 (or whatever it is now called) has a coach station but, of course, no other public transport options. Maybe the logic should be multiple interchanges (compass points around the North & South Circulars to stay out of future ULEZ zone?) rather than a single too-central-for-congestion one, with some sort of feeder service to those points? @ AlisonW – Scratchwood has an area designated as London Gateway long-distance coach service interchange for package holiday firms, a different client base to VCS. “Shearings offer a Lounge with ‘superb’ facilities, food and drink outlets, car parking and FREE Wi-Fi.” Coach charters pick up all over the country and swap to destination coaches at the Interchange. When I went skiing in the 1980s our pick up was at a local carvery with a container in the car park for “check-in” receiving luggage and supplies. I thought the problem with VCS was that the lease ownership of the site is complex and parts of the site come off lease in the relatively near future. Therefore there is no guarantee that TfL could gain rights to remain on the site and have coach operations based there. That’s the fundamental problem and TfL could effectively be “held to ransom” if it sought to renew leases – assuming the land owners were even interested. For obvious reasons TfL dislikes being in a position where it faces locked in supply chains or onerous property conditions. I think people who are blithely suggesting multiple coach stations or are assuming coach travellers (or a decent proportion of them) would be content to travel on Thameslink to the wilds of Brent Cross really don’t understand why people travel by coach. VCS is far from ideal in a lot of respects *but* it is a hub, it’s in a well known and well served part of London and those are advantages not to be ignored. Old people encumbered with luggage or those with disabilities that require assisted travel are not going to wish to face using commuter rail lines and then battling with a rail station, then an interchange walk / journey and then tackling the resited coach station. They use coaches because they can be dropped at the terminal door, walk a very short distance to the coach bay and then be met when they alight. I accept I suggested Stratford as a possible location but that was to entirely replace VCS so there would still be a hub. I do recognise, though, that it would still have disadvantages for a key segment of coach travellers. I suspect National Express and Megabus would have something to say about this. Oh and an interesting observation about the loading patterns of Oxford Tube coaches. I have to say that I am somewhat surprised that Stagecoach have not twigged that they could offer a convenient service at peak times by having the odd coach actually start at somewhere like Notting Hill Gate or Shepherds Bush. There is clearly a problem that needs addressing and customer needs that should be met – they’re normally pretty decent at spotting things like this. I’d expect them to have done something given the Oxford Tube is a mature, well used service and they should have loads of data. @WW The listed VCS has been owned by London Transport since 1988 when transferred from the National Bus Company. The expansion site across the road is leased from Grosvenor Estates until 2023 and used as the Arrivals Hall. Brent Cross is being led by private development who have already maxed out all the available space including relocating the train service yard and refuse transfer. 80% of VCS is National Express and much of the balance is their International Transfer partner Eurolines. The council strategy paper was to reduce loads by dispersal and considering the dual alternative sites option. Stratford only really serves the M11 and A12, Eurolines would still want zone 1 and probably share with the other operators across the road. OK I get the point now – Oxford Tube fills up at the Terminus. To save the dead head take the X90 which does offer seat booking reservations.